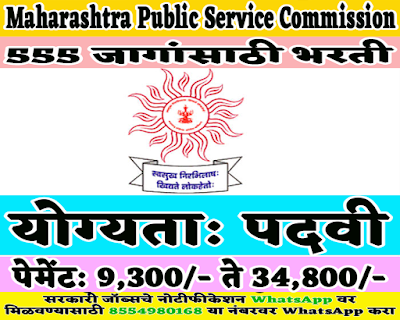 Maharashtra Public Service Commission inviting application for Assistant Room Officer, State Tax Inspector, Police Sub-Inspector 555 posts. Interested and Eligible candidates who wants to apply for these posts need submit their applications online on official website of MPSC from 09 January 2019 to 29 January 2019. For more details like age limit, salary, how to apply, selection process please refer the below article. Age Limit:- Minimum age limit is 18 & Maximum age limit is 38 years. 1. Degree of statutory university or any other similar qualification declared to be equivalent to it. 2. Candidates appearing for the degree examination will be temporarily eligible for the pre-examination. However, the candidates who qualify for the respective main required to pass the degree examination till the last date prescribed for accepting the application for the main examination of the concerned cadre. 3. Candidates who have experience in internship or workshops must have complete this condition till the last date prescribed for acceptance of the main exam application. 4. Knowledge of Marathi language required. Candidates who full fill all required eligibility criteria mentioned in official notification are now able to fill up online application for the recruitment rally of MPSC Recruitment 2019. Fill up the online application form on departmental official website of MPSC portal. 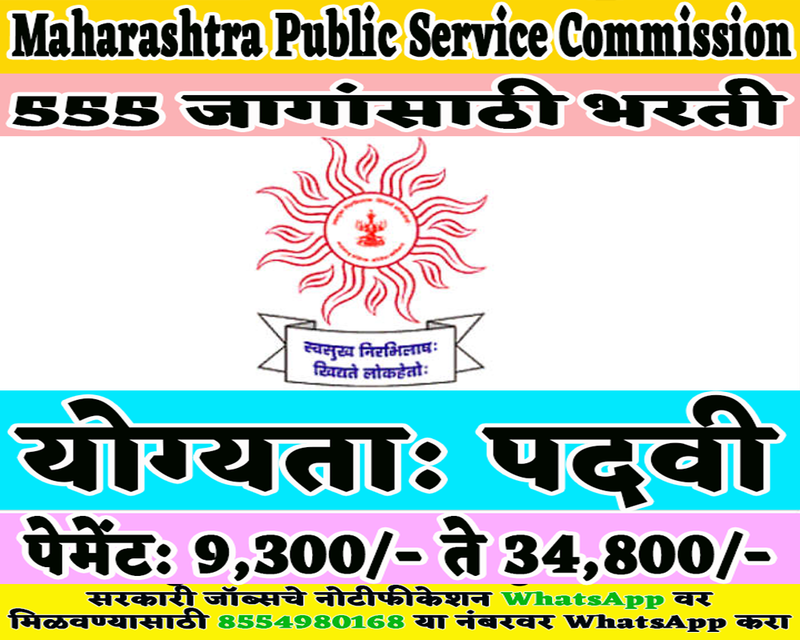 Online application is mandatory to MPSC Recruitment 2019. Written and oral examination organized as per the requirement for selection on this employment post. Date of Online Examination will be prescribed on departmental advertising PDF. Read the all details carefully on departmental advertising PDF. Pre-Examination of secondary services in Maharashtra are non-Gazetted, Group-B-, dated March 24, 2019, at 37 District Centers in Maharashtra. Please refer the departmental advertising PDF for more details of eligible criteria, how to apply and selection process.